In Moscow a very large market for used and new cars. It offers customers specialized sites with ads, automotive markets, salons. The announcement of the sale of cars from private owners can be found on specialized sites auto.ru, auto.yandex.ru, cars.ru, irr.ru"Cars and others. To choose from a huge database is needed, specify in the space provided, the search parameters car brand, mileage, transmission type, color, etc. the Site will give you a selection of ads with the input data. Select several. Better that the machines were in one area, then you will be able to see during the day several. 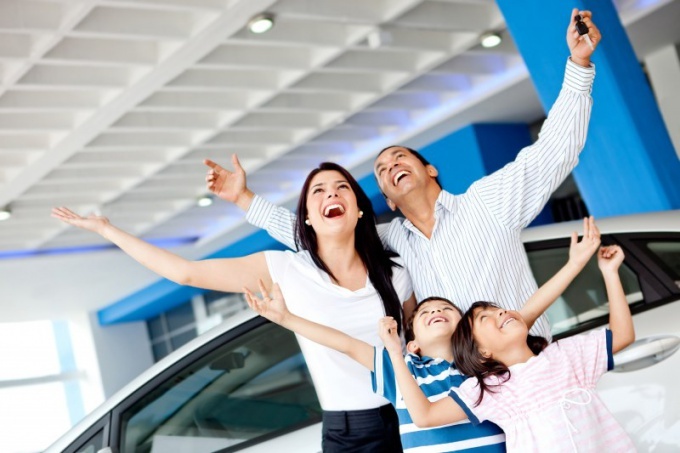 If you want to buy a new car, you can apply in specialized facilities. There is the opportunity to take a test drive, inspecting the car's driving characteristics, its convenience and comfort. Salons often sell the cars at discounted prices offered last year's model, the actions have been organized for various holidays. The largest Moscow motor - Autoworld (they sell different car brands - Hyundai, Suzuki, Kia, Mazda, and others), the company "Block motors" (official dealer of Hyundai, its dealers represented the entire range of this brand), "Favorit Motors" (official dealer of European and Korean cars). If you are registered in Moscow, then to get plates for the car from in the cabin. Everyone else will need to put the car on the account yourself. 15 Oct 2013 this can be done in any branch of traffic police, regardless of place of residence. But a receipt for payment of road tax will be issued only on meta check, so to save money, putting the car on the account in the region where the tax is low - will not work. When you buy a used car to the buyer within ten days need to put it on the account in traffic police. In the administrative regulations of October 15, 2013 stipulates that the former owner must not rent a car from the register, the numbers are transferred to the new owner. And already his task is to register the transaction in the traffic police. If you spend enough time looking, you can find almost new car with low mileage quite cheap. The bases sometimes come across ads from owners who sell cars a year and a half after the purchase because did not dare ride them. When choosing a car, review as many options as possible. The price of the same brand in Moscow can vary greatly.